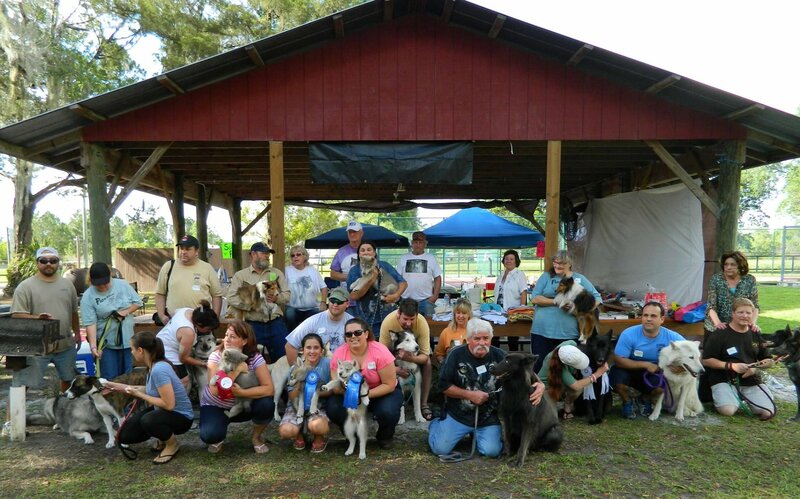 The National Lupine Association, Inc., holds its annual membership meetings at a campground in central Florida. Called a rendezvous, this event is both educational and fun for all. 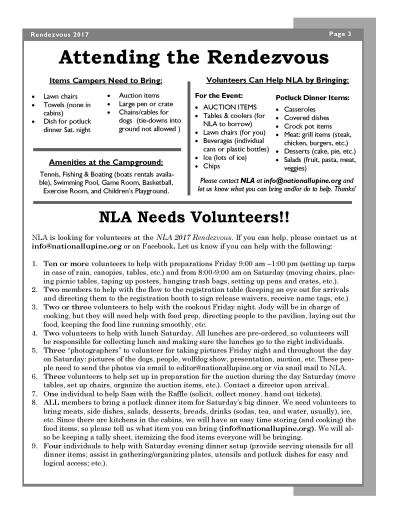 Presentations are given on a variety of wolf- and wolfdog-related topics; an auction is held, with proceeds going to NLA; and members (and non-members) are given the opportunity to interact with other wolfdog people and their animals. The year 2009 marked our 10th anniversary having rendezvous. Click here to view a photographic review of the first 10 rendezvous. 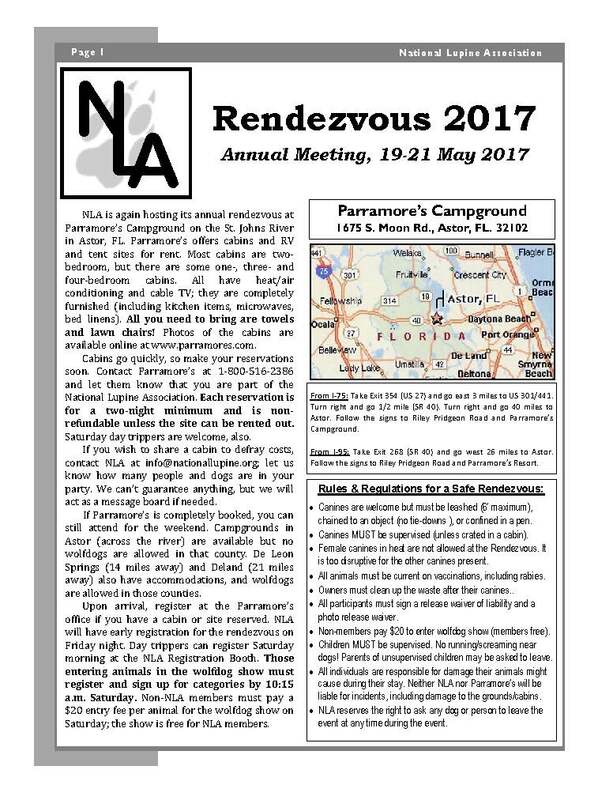 This year's NLA Rendezvous is being held 19-21 May 2017. 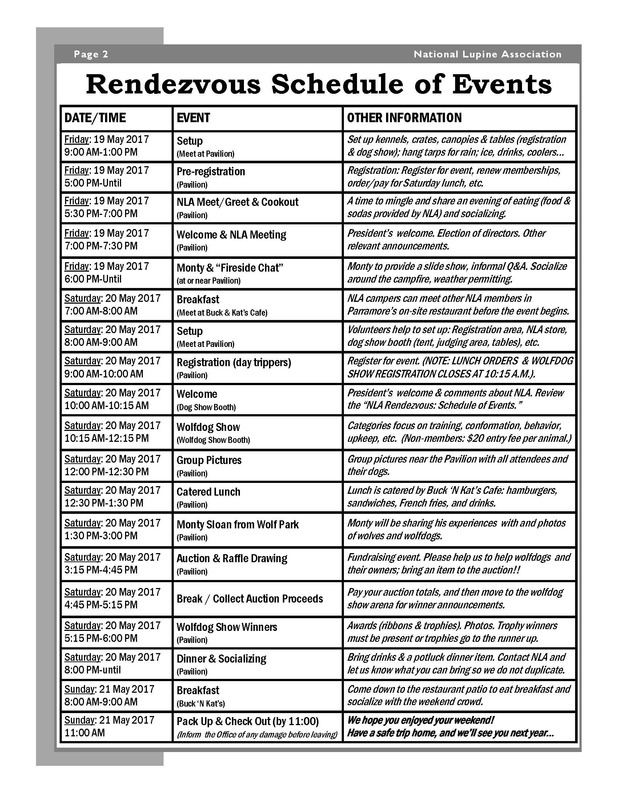 The schedule and other relevant information is below. 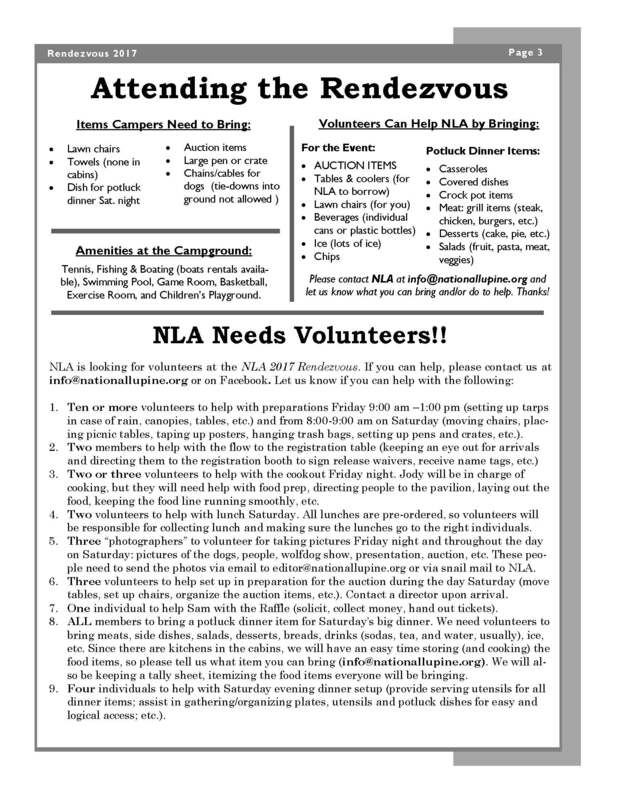 Click here to view this year's rendezvous document in PDF format. 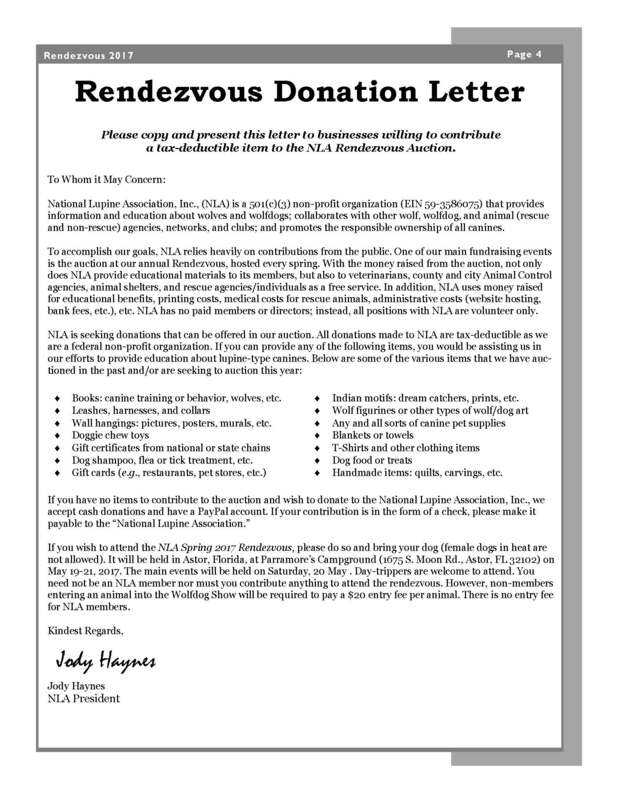 NLA is happy to announce that at this year’s rendezvous, Monty Sloan will be giving an informal presentation Friday evening and a formal PowerPoint presentation on wolf behavior on Saturday. If weather cooperates, we will also have a Friday night fireside chat, modelled after the one that takes place at the Full Moon Farm Pawty each year. Anyone who is interested in showing up a day early, a group of us will be renting one or more pontoon boats on Thursday and enjoying a relaxing, wildlife-filled day on the St. John's River with fellow wolfdog owners and some animals. 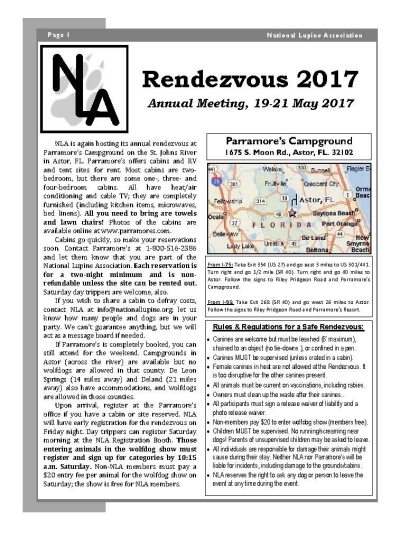 FLA holds its annual meeting at Parramore's Campground in Astor, FL. Below is an interactive map showing the exact location of Parramore's on the beautiful and scenic St. John's River. 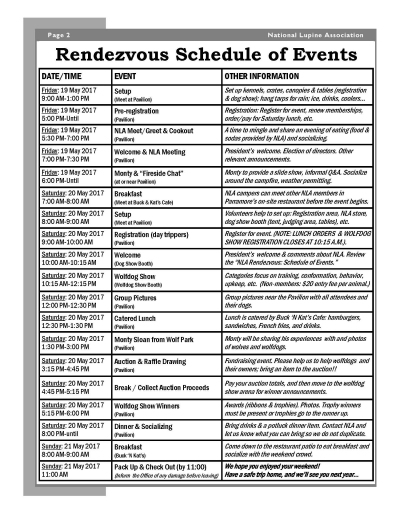 Please join us this year for an enjoyable and educational weekend.